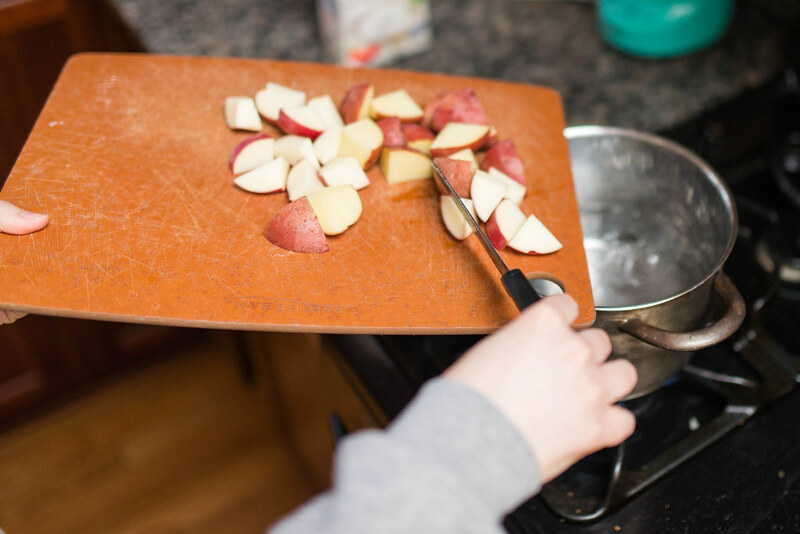 Make ahead tip: You can cut up your potatoes and store them in your pot of water up to 2 days ahead of time. Then once your potatoes are cooked. Drain them and keep them in your pot. Right before your guests come, heat up the remaining ingredients until they are melted through and add to the potatoes. You will have perfect creamy potatoes that are gorgeously warmed through! Wash, peel and evenly chop 2 large agria potatoes and 1 large kumara. Cover with salty cold water and boil until tender. Drain and mash thoroughly with a little butter or sour cream.